The Cabinet will today consider a report from independent auditor Peter Smyth into the tender process for the State’s rural broadband scheme. 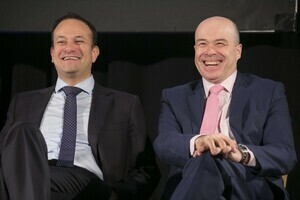 …Sources said the report has found that Mr Naughten did not influence or seek to influence the conduct of the tender process in favour of Granahan McCourt Capital, or otherwise. It is also understood to make a similar finding with regard to Granahan McCourt chairman David McCourt and his meetings with Mr Naughten. 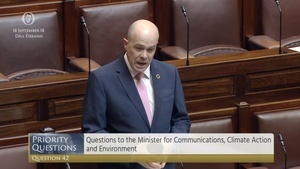 And who was responsible for auditing procurement guidelines for the National Broadband Plan over the past few years, including the period in which the secret meetings between the minister Denis Naughten and the remaining bidder? Step forward, Mr Peter Smyth! “Given that the report finds that the plan has not been compromised then the very obvious question is simply: why have specific rules for the process when it now transpires that flagrant disregard for those rules and repeated breaches supposedly make no difference whatsoever to the process. I think we can all see the ridiculousness of that contradiction and therefore it is impossible to view the findings of the Smyth report as anything other than a superficial exercise which chose to gloss over the issue. 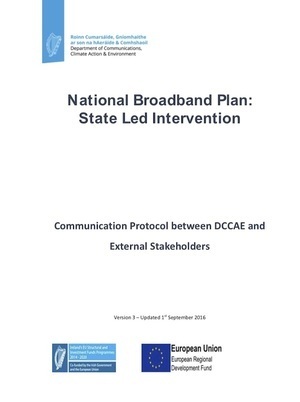 Posted in Misc and tagged National Broadband Plan at 12:06 pm on November 27, 2018 by Bodger. The process is fundamentally flawed. If awarded in it’s current format the unsuccessful candidates will sue and will win. Still being lined up for Danny O Siteserv/actavo by FG. Smyth now is toxic. Appointed by Varadkar of course. Peter Smyth was brough in to investigate and report back on the quality of his own work managing and auditing the bid process. If his findings were critical of his performance what impact would that have on his consultancy business. Did nobody in government consider this before appointing him? Of course they did – that’s why he was the perfect candidate. Do you have a link to the report? Think about it. Three billion – sounds small? Original (last) Bidder has been deserted by most of its original members. Actavo arrived a few months ago. Many meetings, phone calls, dinners between Naughton (FG DNA) and the last bidder. Isn’t 3 billion right around the amount of debt that [he who must not be named] is currently trying to refinance…coincidence mmmmm! Seriously, we’re accepting something from a one-man-and-his-wife company, someone who has been the auditor for the procurement process for some time. He also receives a lot of fees from government departments and agencies, more than €250,000 in one year. It’s ridiculous. And by the way, again, Peter Smyth is a well-regarded consultant and an acknowledged expert in procurement, it’s just he himself shouldn’t be presented as independent. The matter should be examined by the Comptroller and Auditor General. I wish Catherine Murphy was made a minister. I’d give it 18 months tops before she’d land herself in some steaming pile, possibly not even of her own making. I don’t think she has any real idea what the jobs entails. If the Irish people do the usual act of turning a blind eye to this and do nothing there is no hope for us a nation. It’s really sad because we all know that’s what’s going to happen. The guy was employed by the broadband plan. he was employed to make sure the very things that happened regarding Naughton didn’t happen and they expected he was going to write a report that implicates his own failure to competently do the job. 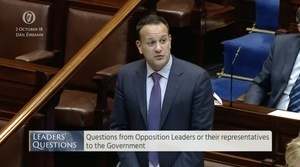 It’s utter bull crap and it’s the usual scummy response we consistently see from the filth in Leinster House. Why is nobody screaming from the rooftops to stop this?